Get a jump on the Christmas rush and take advantage of the early preview sale! Bring your best deals, coupons, or other offers for stocking stuffers and more! 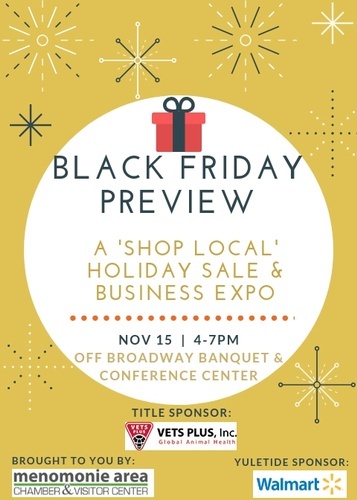 Don't miss this great opportunity to expand your clientele and encourage the community to shop local for the holiday season! Be part of an event that will surely be talked about in local households all over Menomonie! Cost is $50 for members and $125 for non-members. If you need electricity there is an additional $5 charge.